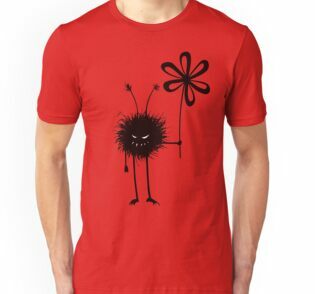 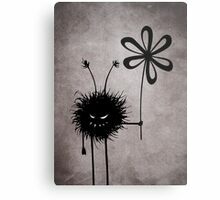 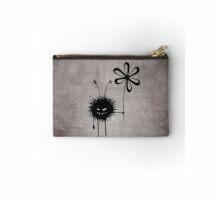 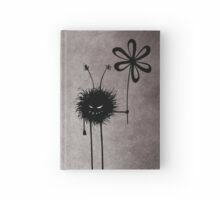 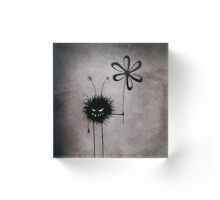 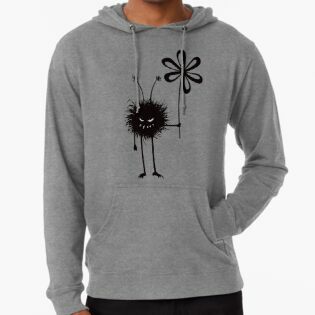 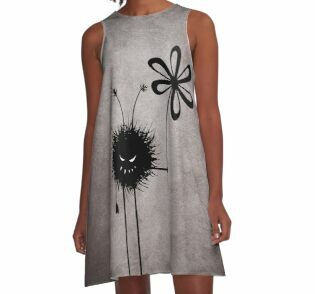 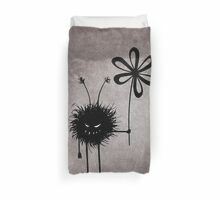 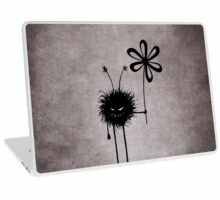 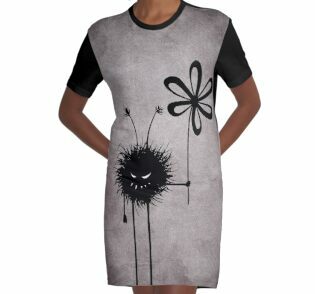 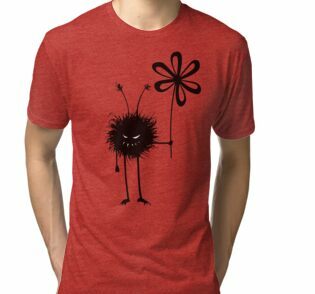 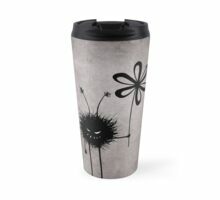 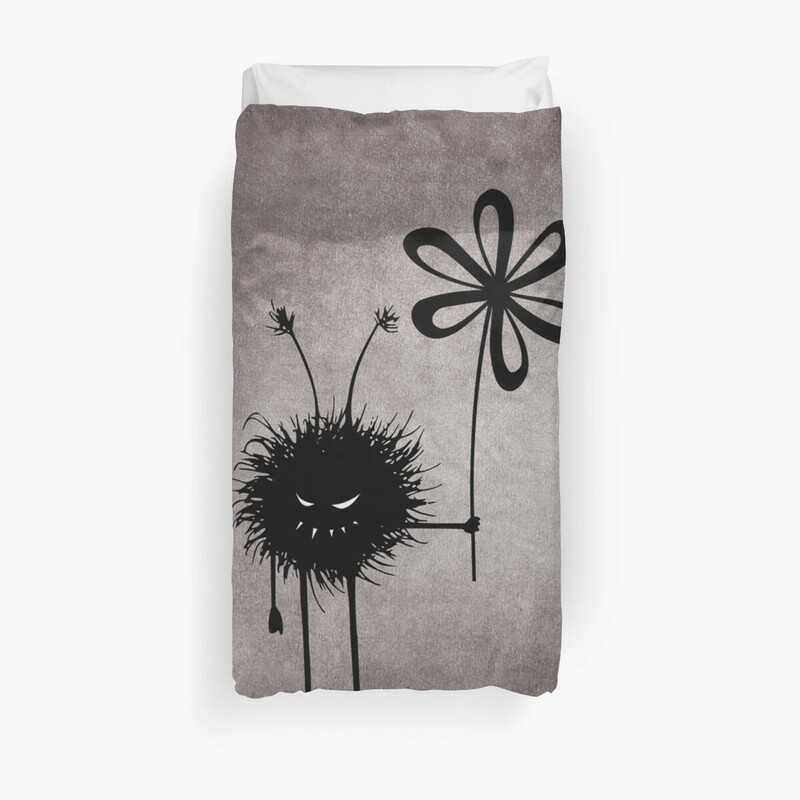 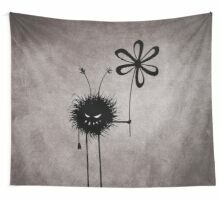 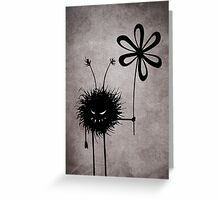 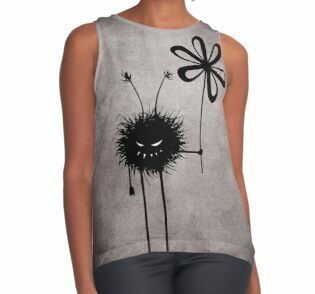 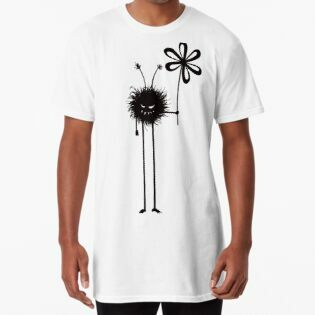 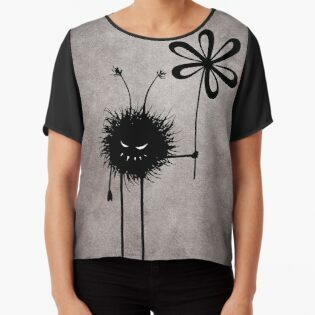 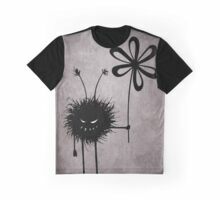 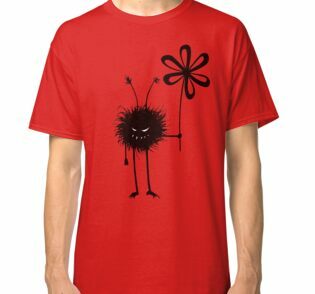 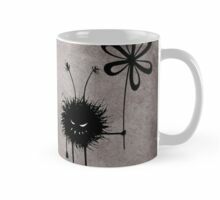 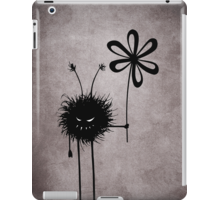 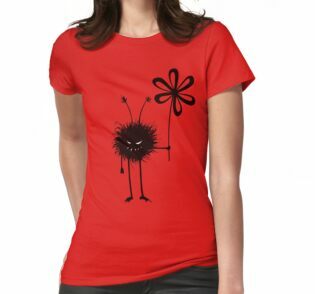 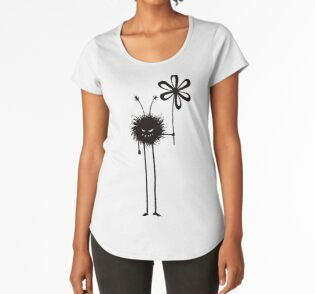 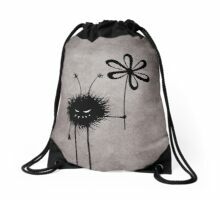 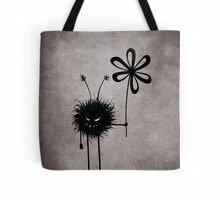 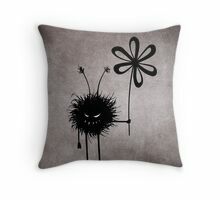 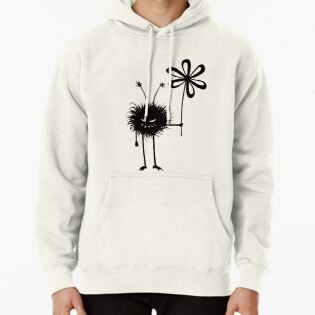 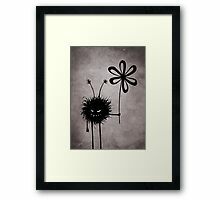 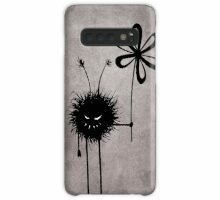 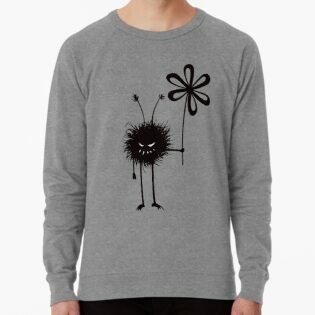 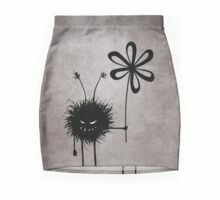 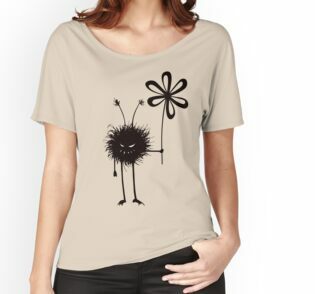 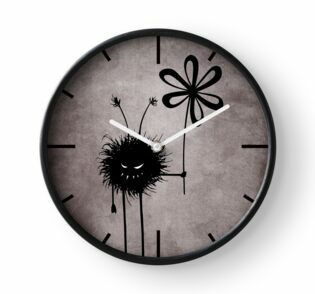 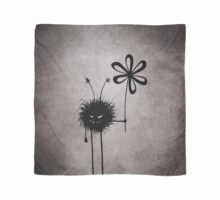 Funny illustration with the Evil Flower Bug in its vintage reincarnation – grinning cartoon creature with sharp teeth holding a flower on dark grunge textured background. 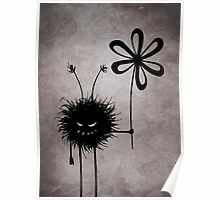 It’s evil and kind of cute. It loves flowers… loves eating them, in fact. 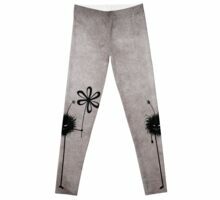 Thank you so much, ScaleDesigns! 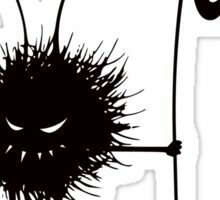 this bug is so cool and funny! 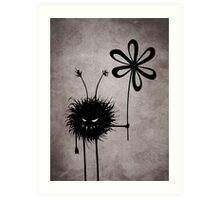 Love your evil Bugs…make me laugh Boriana!! 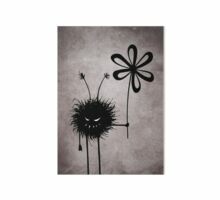 I love your evil bug series!! 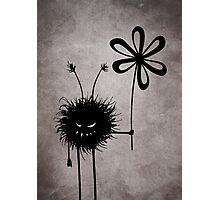 Just adorable!